It was 3 o’clock in the morning and my grandparents were fast asleep. The phone rang and my grandmother got up to answer. At the end of the line was a young journalist, who rather bluntly asked if my grandmother was aware that her youngest daughter was trapped on a small cliff ledge in the high mountains of Lapland, presumed to be seriously injured. Would my grandmother care to make a comment for his newspaper? This was the first my grandparents heard about my mother’s accident, while she was away working in the far north of Sweden. Needless to say, I grew up thinking that all journalists were the most insensitive bastards around (and some would still argue I had a point, although I’ve come to appreciate the danger of tarring everyone with the same brush). My mother, who did survive that scary accident, was pretty much of the same opinion. “Journalism” as a profession was right out and “writer” seemed way too posh to me, hailing as I did from a long line of farmers from rural Sweden, none of whom had ever gone to university. Add to that a dose of inherited dyslexia from my father and a career as a writer ought to have proven downright impossible. Only thing was, I loved to write. As a child and well into my teens, I was always inventing stories. At first for the sheer joy of it, later on to escape an increasing harsh environment of bullying at school and frequent moves to different parts of the country with my parents. Fast-forward some 10-15 years, by which time I’d reached the “high age” of 35 and I was in a rut. Not only was I holding down one job, but two – one office-based and another from home as a translator, both officially full-time. What can I say? It was a nightmare. I was working all hours, without necessarily enjoying it. My writing ambitions were buried somewhere in a suitcase atop a wardrobe, or possibly under the great piles of translation work I wasn’t particularly good at, on my desk. Something had to give. After six months of overwork, I realised I couldn’t keep up the double shifts much longer and decided, not without a hint of fear, to give up the more secure office job and focus on translation, as working from home with a freer schedule very much appealed to me. A tad optimistic, given that I was an appalling translator! Sure enough, a few months down the line my yearly contract was not renewed and I went from two jobs to no job, in no time. As fate would have it, with hindsight, this was the best thing that could have happened to me at that point, as it forced me to evaluate what I really wanted to do and what really inspired me. I had an upcoming holiday to Cuba booked and despite having no job to return to, I decided to take the holiday anyway. 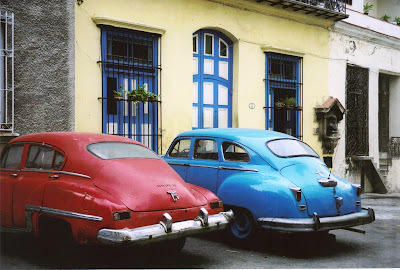 Cuba was a true inspiration, I loved it. When I met an editor launching a new travel magazine shortly after my return I asked, on the spur of the moment, if he might want a feature on Cuba. He enthusiastically said yes, much to my amazement, and did not seem to mind that I hadn’t been published before. It’s hard to describe the feeling of sheer joy seeing that first feature in print, spread over several pages with my own images included (threatening the magazine with court action to finally get paid was less joyful, but that’s a different story). If I’d needed proof I could write and get published, this was the boost of confidence I’d needed. 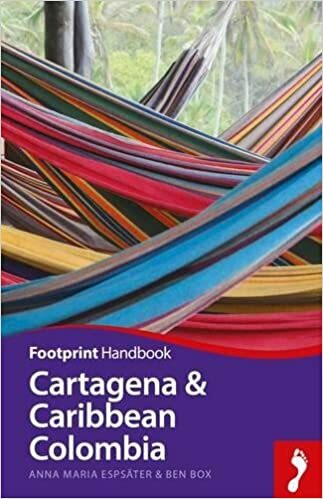 Thus began a decade-long career in travel writing and before long I was even describing myself as a “travel journalist” – a bit fickle, that – and finally, when the book contracts started coming in, as a “travel writer”. It was a career in superlatives, where the weird and whacky, the awesome and amazing, kept regularly cropping up. Not just the journeys themselves to anywhere from Tierra del Fuego to Taiwan, with a dash of Wales and Washington in-between, but the mix of people, experiences, food and drink. One week I might be trying my hand at husky-mushing in Finnish Lapland and another I’d be enjoying a safari in a South African game park. The money was pretty crap and the schedule quite hectic, but it was a very addictive lifestyle, and, I came to appreciate, the envy of many. It took me years to see through the system I was part of and want to rebel against it. Travel writers (and writers in general of course) were earning less and less, but often we were offered the most lavish of press trips. A sort of bribe to ensure we would write nice things about a destination and not ask too many difficult questions, so the public would see the travel writer as the genuine side of the PR machine. It’s rather difficult to try and focus on the environmental policy of a place when you’re also being fed a 7-course dinner with matching wines. Some might pull off a more critical, investigative journalism approach, but most of us, often myself included, were just enjoying the hospitality. “Writing nice things is easier and gets you more work”, seemed to be the motto. An exception to the above scenario was guidebook research, which I did my fair share of for some seven years. This proved far freer, as I was given a travel budget and remained in charge of my own schedule, rather than the organised programmes of press trips. The downside was obviously the lack of creative writing in terms of the finished product. Travel writing in any form, although often rewarding, is also hard work physically, in ways you might not think of at first. A decade in, it suddenly dawned on me just how much strain I was putting on my poor body – vaccines, malaria tablets, different time zones, climates, foods and drinks all take their toll after awhile. Taking time out, after 90+ countries visited, something else hit this occasionally slow writer as well. What I’d always wanted was to write and travel, not to write about travel. The latter had been accidental. It had seemed so natural to combine my two main passions, but finally I had to accept that travel writing wasn’t my true calling, the stories I’d invented as a child were all fiction. 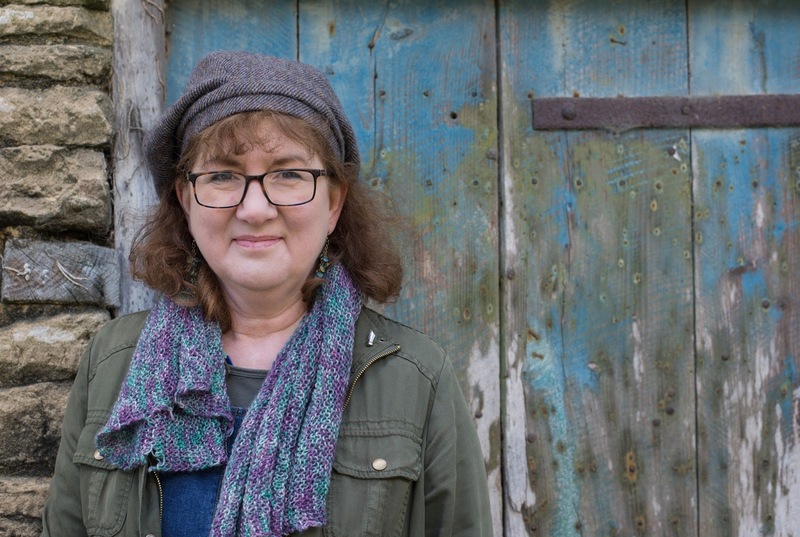 For a long time fiction ideas had been brewing under the surface, but I’d been too busy travelling and making a living from my travel writing to allow these ideas to take centre stage. Gradually, some seven years after tentatively starting work on my first idea for a novel, I’ve begun winding down the travel writing completely, shifting my focus to fiction. The power to invent new and different worlds is a very appealing prospect, especially looking at the state of the world today. Looking at historical photographs recently, I confess seeing women in wedding photos past looking unhappy, or even terrified, is making me quite willing to rewrite history as well as inventing new futures. 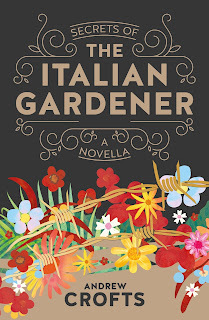 I suspect there are many stories out there deserving of a different ending… After finishing two novels in the last year (one’s with a publisher, the other probably needs further “tinkering”), I’m embarking on a new project this summer. 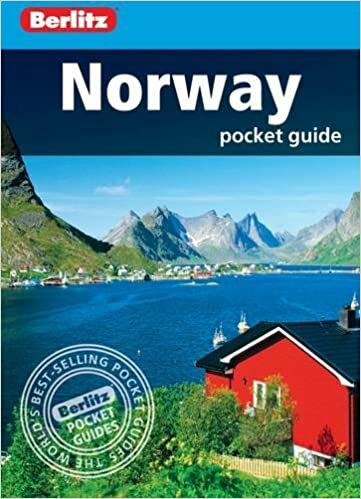 I’ll be following in my mother’s footsteps – hopefully not literally or there might be journalistic phone calls in the middle of the night – and will be spending some time in Lapland, looking to rewrite her story in a fictionalised biography. I may have taken the long way around, but no matter how many countries you visit, it’s hard to escape your calling. Debbie Young Asks "What Would You Do With a Trug?" Have you ever been surprised at how few people know a word that you've always taken for granted? That happened to me this week when I was working my way through suggestions and queries raised on my current work-in-progress by my extremely helpful team of beta readers. Oh, and before we go any further, just in case you've never come across the term "beta reader", that's the book's equivalent to a test pilot - a pre-publication reader who offers feedback on a book prior to publication. I spotted Joshua in his back garden, picking the last few runner beans from his immaculate vegetable plot. I unlocked the back door and strolled down the path to greet him, wrapping my arms about me for warmth. I wasn't sure he should have been out out gardening in this weather. He set down a trug of impressively long, straight beans and put one hand to his back. "Good evening, my dear," he said, although it was only just gone five. I've noticed mornings and evenings start earlier when you're old. What can I do for you this fine autumn night?" If you're already picturing the trug, go to the top of the class - but most of my beta readers made a marginal comment to the effect of "What's a trug?" 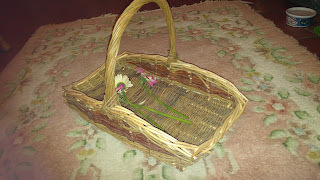 I must admit, I didn't know the meaning of the word trug myself until I was about twelve, when my father acquired one. I come from a family of keen gardeners, and he was very pleased to have acquired this long, shallow, lightweight basket with a deep handle that fits nicely over your arm, enabling you to transport a generous amount of picked produce from vegetable plot to kitchen without squashing anything. And I was pleased to have that opportunity to learn the word trug - a nice, solid Anglo-Saxon syllable that fills the mouth as pleasingly as a gobstopper. It has enough satisfying solidity for it to serve as a swear word substitute for use in polite company. "Oh, trug it!" you might say with a clear conscience. With a love of gardening in my genes, I've had a fondness for trugs ever since I discovered them, and I felt both surprised and sorry that my erudite beta readers hadn't come across them. My first thought was "Great! Now I've introduced them to the joy of the trug - something everyone should embrace at some point in their lives." But then I retracted, because what's the point in having a lovely word in a book if no-one's going to understand it? I didn't want readers to stop short in the story to rack their brains as to what a trug might be, or imagining it to be something quite other than it was. Although they might make a guess that it was some kind of receptacle, they might go off on the wrong track, perhaps thinking it was simply the collective noun for beans, similar to a swarm of bees or a murmuration of starlings. And I wanted them to keep reading, undistracted by elitist vocabulary. With reluctance I therefore consigned all mentions of the word trug to my collection of murdered darlings, deciding to save the lesson in essential garden accessories for the next time my beta reading friends visited my house. Poor Joshua has had his trug replaced with a basket, but he took it well when I broke it to him gently. He never did like beans much anyway. Best Murder in Show, the first in my Sophie Sayers Village Mysteries series is set at a traditional English village country show, and makes the perfect summer holiday read. It's now available in paperback from Amazon and can also be ordered from all good bookshops by quoting ISBN 978-1911223139. The ebook is available for Kindle here. 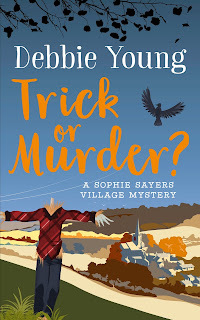 Trick or Murder? will be launched at the end of August, in time to enjoy during the season of mists and mellow fruitfulness, spanning the few weeks around Halloween and Guy Fawkes Night. 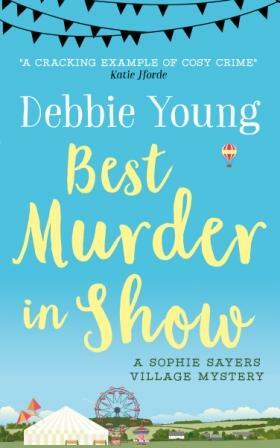 You can preorder the ebook on Amazon now, and the paperback will be available from 21 August. For more information about my books and coming events, please visit my website, www.authordebbieyoung.com. What would you do with a much-loved word that you wanted to use in your writing but feared no-one else would understand it? Would you put the onus on the reader to look it up in the dictionary, or would you play safe and stick to the lowest common denominator? Which words have caused our readers confusion? I'd love to hear further examples! Hello and welcome to my loo, my little downstairs loo, which has a small library on the lower left, which you can't see in this image, and into which we put odd, unclassifiable books - ancient paperbacks with yellowing pages which really should go to a charity shop, but not yet, odd self-help books to dip into and promptly forget, and then the odd treasure like this French story book (I can't describe these stories as fairy stories because they don't contain any fairies) which I haven't looked at for decades, and which I recently began reading. I love its surreal cover illustration, reminiscent of Hieronymus Bosch, and the inside line drawings are similar in feel. The illustrator is Sylvie Francois, the writer Robert Escarpit, and the book was first published in 1975! What has most struck me about these fantasy stories is how very French they are. Here we have a country afflicted with sadness - absolutely nobody is happy. The king tried to organise a ball to cheer everyone up, but the musicians play dirges and nobody dances. Along comes a prince (and yes, of course there's a beautiful but deeply sad princess) who sets out on a quest to bring happiness to the kingdom, ends up in Mexico where he discovers jumping beans which, it seems, get everyone dancing, singing etc, brings them back, gets a master chef to turn them into patisserie - et voila! Likewise, in another story, we have a problem princess (beautiful, of course) who seems to be suffering from advanced anorexia - she will eat nothing save a few drops of milk. In this case, it's a peasant who solves the problem by entering a bizarre rural contest run by a pub called La Vache Enragee (The Furious Cow) and winning the prize which turns out to be - guess what? - a pot of the most fantastically delicious lamb stew. So, so French. In France, much of this delight in food seems, sadly, to be dying out with the advent of supermarkets and junk food, but much of it still remains, to everyone's pleasure. Yesterday, the very last of the legal paperwork relating to the movie based on one of my books was finally signed. It's been a long and very picky journey, and I fall into the category of signing (possibly my own death warrent) without properly reading legal documents (prefer novels), but hey! 'Tis done, and shooting - the unbloody kind - begins in ten days (unless there are more legal hiccups). I still can't quite believe that this is finally on the menu, but I'll keep you informed. Are you a list person? Do you write lists of things that have to be done and then tick them off (or lose the list)? I'm becoming more and more aware that there has to be a novel in lists. I found some old ones today and they take me back to the time I wrote them and what had seemed important then. I found, heartbreakingly, some of my late husband's lists - they reveal so much. I wonder if anyone has ever written a thriller using just lists? The everyday stuff the villain might be buying or ordering in order to get rid of the body, or further back - his/ her childhood lists - so revealing. “What exactly do I have to do?” I enquired, assuming I would have to write something for each blog, or do an interview – as is the pattern with PR tours. It seemed hard to believe that anything could actually be that easy for an author. No one ever makes our lives easy – or at least that is sometimes how it seems. But the reality was even better than that. Not only did they all review the book enthusiastically, most of them tweeted about it and re-tweeted one another’s tweets and then set up competitions for people who might want to win their copies, which resulted in more re-tweets and so the cycle continued. It was like a word-of-mouth campaign on steroids, sending the book rocketing back up the Amazon charts. RedDoor then produced a poster of juicy quotes from the blogs, which the delighted bloggers tweeted about once again. To top it off Nick Clee of Bookbrunch, (the leading publishing industry newsletter for those of you who have not yet discovered it), then allowed me to write an article about how wonderful book bloggers are, how there has been a power shift in publishing towards the authors and readers and away from the many layers of gatekeepers who have traditionally stood between us, and allowed me to share those juicy quotes once more, delighting me, RedDoor and the bloggers all over again. I can confirm that these book bloggers are indeed wonderful human beings because I have since met one or two of them, but even if I hadn’t, anyone who reads books, and then encourages other people to read them, has to be a thoroughly good egg. Since I am quite sure that all you Electric Authors are now gagging to know what these “juicy quotes” were, I am reproducing them yet again below, selflessly sparing myself no blushes. “WOW. Left me reeling by the end …a beautifully crafted and clever story full of depth and intrigue …pacy and becomes surprisingly sinister … I loved the tense, uneasy feeling … Andrew Crofts is a genius story teller … an incredibly thought provoking story... YOU NEED TO READ IT!! !”- Ifindoubtread.wordpress.com. 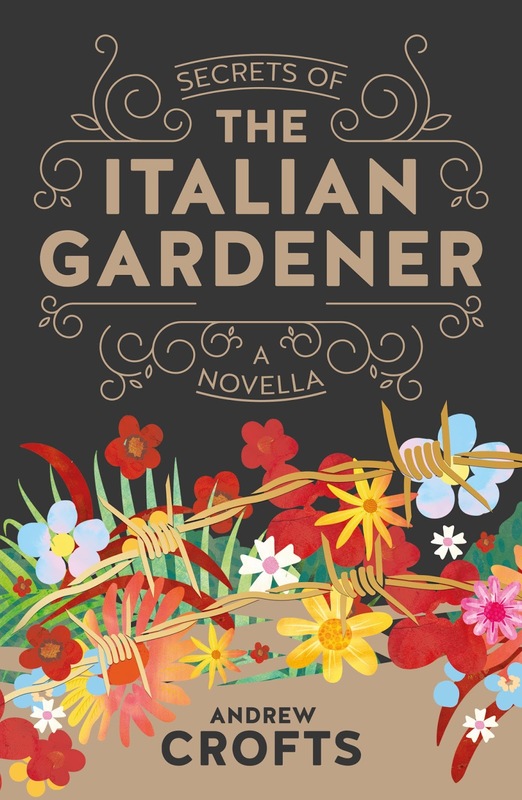 Writing a novel is like visiting a foreign continent for the first time; there are the annoying visas and passport renewal, inoculations and phrasebooks, but also the long giddy months of serendipity and planning. And Poetry? Poetry feeds my soul. It is the wind fluting through the weeping willow on a cloudless night. I had my first poem published when I was about 11 years old. Poetry has been a succor through the years of graduate school and raising two boys and has never abandoned me. It has always been there as a sudden image while I am washing dishes, or the red-hot rage after watching the news. Poetry, as we prose writers discover early, pays so little...and is oftentimes respected much less than prose. Our novels find mention in newsprint and blogposts and even the booksellers’ scribbles on a store display; a book of poetry, by comparison, seems beloved of an arcane sect, rarely embraced unless there is big prize or a major publisher involved. Back in 2007, while on a fellowship at the International Institute of Asian Studies in Leiden, I used to frequent the Kern Library with its extensive collection on Indology. This library has now been moved and merged into the soulless main University of Leiden Building, but in 2007 it was housed at the Nonnensteeg, where the Nuns once prayed in this oasis of tranquility in the middle of a botanical garden. Iron trellised staircases led to a maze of books, the books bordered by ancient Tibetan Tankhas displayed on the walls. In this magical treasure house, I chanced upon my first sari-covered book, published by the Writers Workshop in Calcutta. I was astonished by the beauty of the book; the jewel-bright sari cover bordered by a faint line of green and white embroidery stood out from the beige and bland spines in a line. Inside was a table of contents written in a flowing calligraphic script. I recognized at once that although this book was exceptionally beautiful, it was also rough around the edges, the paper thinner than usual. I would later learn that these books have been hand-printed and handcrafted since 1958, when the press had been founded by a visionary P. Lal in Calcutta (now Kolkata), who would go on to publish the early works of the towering figures of Indian writing in English like Nissim Ezekiel, Kamala Das, Ruskin Bond, A K Ramanujan, Adil Jussawalla, Keki Daruwalla, Jayanta Mahapatra, Pritish Nandy, Meena Alexander, Agha Shahid Ali, Chitra Divakaruni and Vikram Seth, among others. I immediately wrote to P. Lal. He wrote back, inviting me to submit my work, and explaining that the criteria for selection were high imaginative awareness and mature technique. With the arrogance of a newbie writer with a smattering of poetry and prose published in journals but no books to my name, I decided that I would not submit my work to a small publishing house in India where English was usually a second language, but aim for a much larger readership in English. In 2003 and 2009, I had been a resident at Centrum in Port Townsend, within walking distance of the Copper Canyon Press. I fell in love with the Copper Canyon broadsides and in my room, I found two volumes of poetry by Reetika Vazirani. I decided to submit my work exclusively to North American and British publishers. 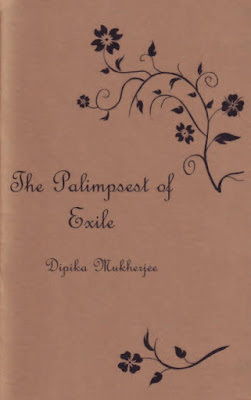 I was lucky with my first poetry chapbook, The Palimpsest of Exile. It was picked up by Rubicon Press in Canada and my editor, Jenna Butler, an acclaimed poet in her own right, treated my inchoate words with a love that bordered on reverence. The Japanese flyleaf matched the flower on the cover exactly, and the finished product was exquisite. This happened in 2009. But I kept seeing the Writers Workshop books everywhere, and delighting in their difference. As the press went into its sixth decade of existence, I finally realized the value of being a part of the literary history of India, and started the process of qualifying for my own hand-loom sari-bound volume of poetry, with exquisite calligraphy inside. The Third Glass of Wine was published in 2015. For a book that I thought would not sell because the publisher was relatively unknown outside India, this book has surpassed my expectations. The demand for this slim book, and the persistence of this small publishing house at a time where the market for poetry seems so small, has taught me the lasting value of exquisite craftsmanship. Isn’t that the whole point of poetry? Ice Apples, Darkness and Firelight by Susan Price. All life is sorrowful - but very, very sweet. [The wolf-witch] said, “You have seen wolves hunt deer. The racing shapes against the snow, darting, turning— for the watcher, so beautiful. And it’s so good to run and feel your own strength! But for wolves, the hunt is hunger. For the deer, it is terror, and death. The hunt ends in pain and blood, with the wolves choking the deer and eating it while it still lives— Oh, did you not think of that? But now you know, and will never forget. Do you think wolves cruel now? But wolves must live, and have cubs to feed— and wolves cannot use arrows, or spears, or traps. To be happy in the den with their cubs, wolves must kill. “Listen to the wolves sing when the hunting and feeding are done. So beautiful, their song, it will freeze you; and so sad it will pain you. The wolves know what they do. They know all life is sorrowful. I've been self-publishing since 2011, but Ghost Spell is only my second entirely original selfie. 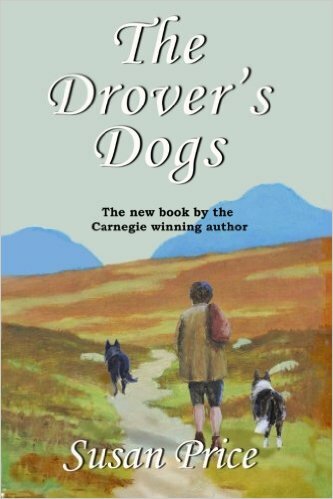 (The first was The Drover's Dogs.) All my other self-published books have been previously published conventionally. Ghost Spell is the fourth in a sequence, all set in the same imaginary world of long dark winters and short summers, snow, firelight, wolves and ice-apples. 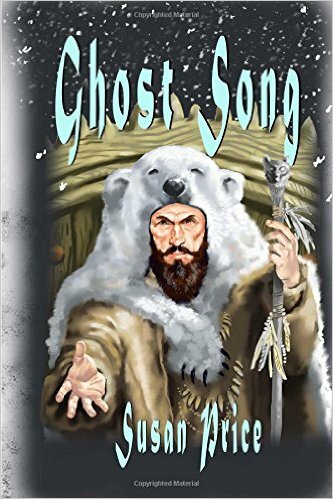 Only Ghost Drum and Ghost Song have a character in common but ice-apples are mentioned in all four of them. Vulchanok, in Andrew's cover-art above, is offering an ice-apple. I didn't entirely invent ice-apples. 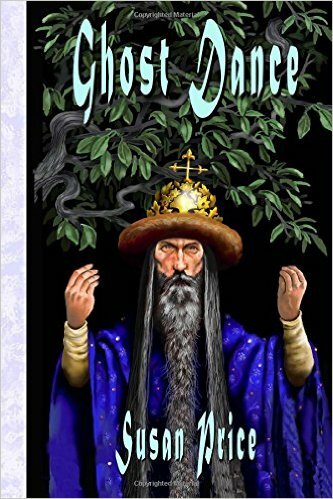 When I wrote The Ghost Drum, (which won the Carnegie medal) I researched 16th Century Russia. I read of how ingeniously the Czar's gardeners grew fruit and vegetables, even in the far north, even in winter, using glass-houses heated by stoves and pipes. They also bred hardier varieties. First recorded in Britain in 1810, if it is the same as Forsyth’s Transparent Apple, or 1826 if not. It came from Russia or the Baltic States and has been confused with White Astrachan and other Transparent apples but this one is probably distinct. Wisley now makes White Astrachan a synonym of this, but Scott has both described, and differently. Forsyth said ‘The Transparent Apple, was introduced from St. Petersburg; but is more curious than useful: a tree or two, therefore, will be sufficient for a garden. It ripens in September and October’. Scott described it as a small, top quality August apple, conical, tapering rapidly to the point at which it is much plaited. The skin is pale golden yellow covered with silvery grey dots. When thoroughly ripe the transparent flesh is melting, the juice plentiful with somewhat of an astringent flavour. The tree is an early and great bearer. Bunyard also describes it as a July/August apple, so Forsyth’s Transparent Apple, ripe in September/October, might be another variety. I like 'a tree or two will be sufficient for a garden'! When I read of the 'ice-apple' it set my imagination working: a transparent apple, flowering in a cold spring, pollinated in an endless summer of white days and nights, setting fruit in an ever darkening autumn and ripening in arctic winter. Ice apples are a rare fruit, found only in the far north. They blossom in the summer of white days and white nights: their flowers never know a moment of darkness. Their fruit sets and swells in the year’s other half, when the light fades into endless darkness by night and day. It takes a witch to coax them to ripeness. When they are ripe, the apples seem made of purest ice, clear and transparent as glass, except for the flower of dark seeds floating at their heart. They hang on a bare, black branch, in darkness and snow. They draw what little light there is to themselves and glow like cold, dim stars. There is a lot of magic in all four books. The characters are witches and shamans, travelling the road to the Ghost World. 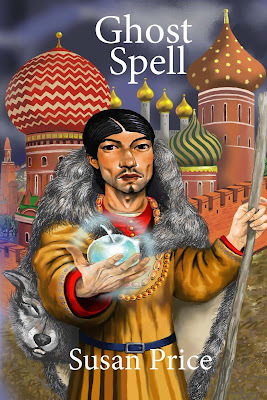 Like the other books, Ghost Spell draws on Norse Myth and Russian and Nordic folk-tale but, I think, has a more romantic feel than the other books. There are connections between the books. 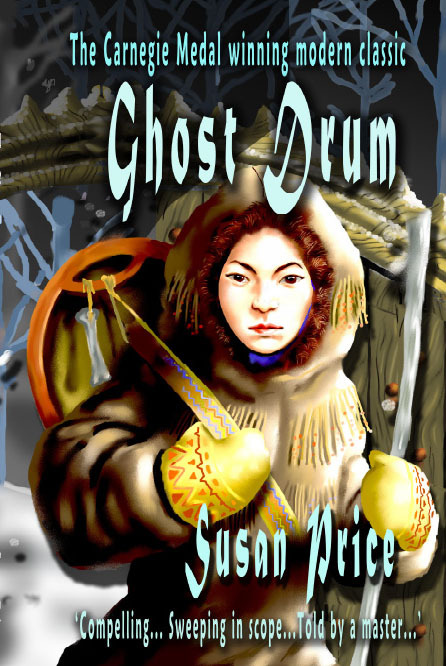 Ghost Spell and Ghost Drum both have characters who are prisoners, but escape. Both Ghost Spell and Ghost Dance move from the wilderness to the Czar's great, reeking wooden city. All four move between the living world and the Ghost World. All four are told by the cat who walks round the tree. The cat lies down among the links of its golden chain, tucks her forepaws beneath her breast, and closes her eyes. Head up, ears pricked, she falls asleep under the oak-tree, and neither sings nor tells stories. Other members of PriceClan have been busy too. And so it's lucky that Mum and Dad are always on guard. 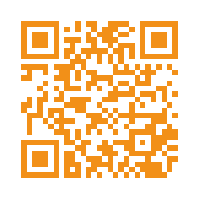 Find out more about PriceClan's Picture books by clicking this link. And here are all four books Ghost World books. Well, I've finally managed to publish my Malawian travels on kindle (and other e-platforms). This has been a difficult book to write - wherever I went I met people eager to give me their opinions on the aid industry. And I went with First World assumptions about the importance of overseas aid and its role in changing the lives of those living in poverty - views I ended up questioning but finding no answers. And so I've left the reader with my unanswered questions. Should I have plucked solutions, rather than leave a reader uncomfortable? Or is it fine to present the challenges and leave the reader to think about them? This dilemma was part of the reason for choosing my title: Everlasting. 80% of the population of Malawi lives in poverty - and I could see no evidence of a co-ordinated of effort to challenge that. The big organisations don't seem to be trying to work themselves out of a job. At the same time, there are some magnificent, locally-driven projects that are changing lives. Just before I published this I typed ‘Everlasting’ into the search box on Amazon - and was rewarded with pages of romance. I sat for a while and played with alternative titles. 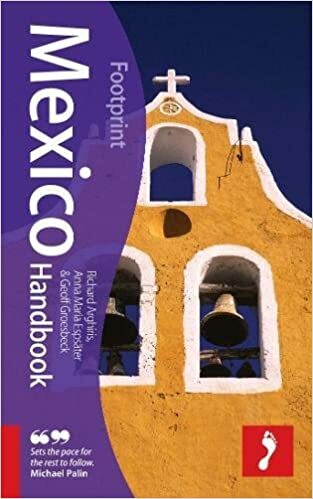 None reflected what, for me, is the essence of this book: I needed a title that put my guide at the centre of the stage, and that indicated some of the complexities of the country.